If you’re reading this article, you’re likely aware that at this past year’s Baselworld, enormous anticipation was dedicated to Rolex’s new GMT Master II “Pepsi” release. Not coincidentally, Tudor also procured and scored a major #watchfam win with it’s new Black Bay GMT “Pepsi”, Ref. M79830RB-0001 (BBGMT). Configured on Tudor’s successful Black Bay dive watch base, the 41 mm stainless steel case is powered by Tudor’s caliber MT5652, an automatic in-house movement with GMT functionality. The 5652 is a new version of the existing Tudor in-house movements, like the 5602, but with the addition of a GMT complication. This is not only Tudor’s first in-house GMT movement, but also the first GMT complication offered on their popular Black Bay line. 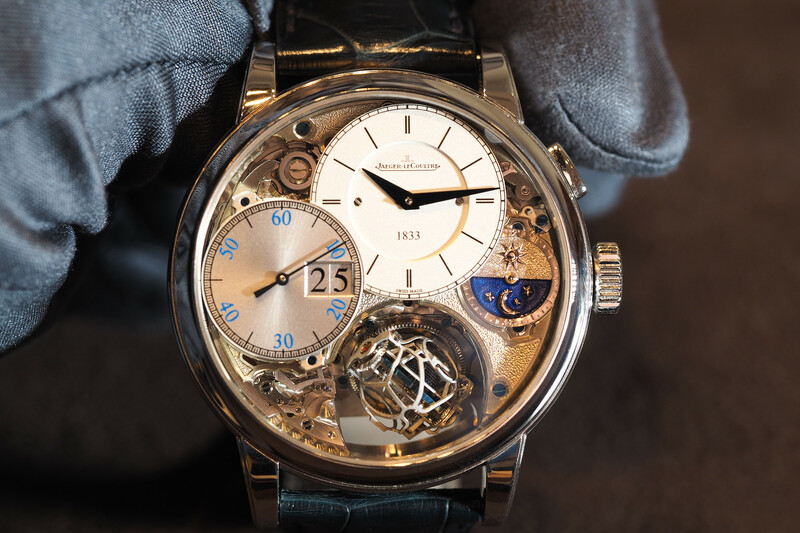 The movement provides chronometer-grade performance and a 70-hour power reserve. The Black Bay GMT allows three-time-zone tracking thanks to its 24-hour GMT red hand, its independently moving hour hand, and its bidirectional 24-hour, 48 click aluminum rotating bezel. 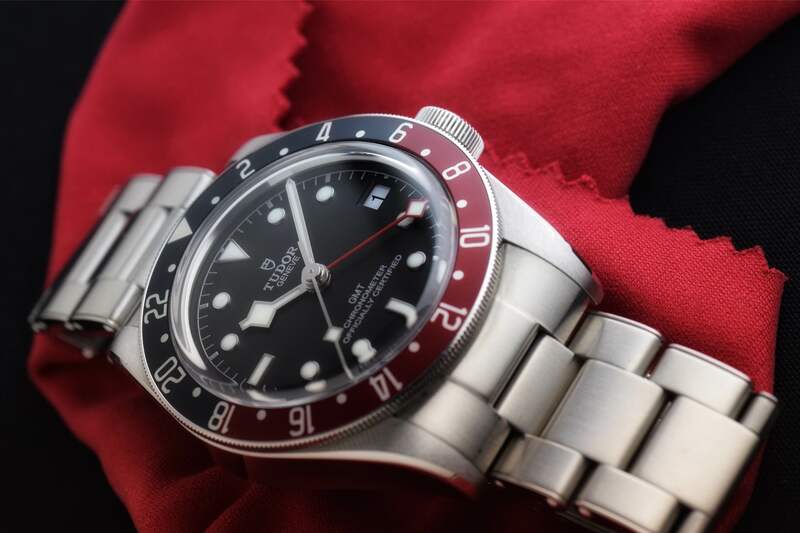 The bi-color bezel is a stylistic departure from all of the other Black Bay models, and the lack of crown guards, riveted bracelet and blue and red aluminum bezel insert give it a great mix of modern and vintage charm. As seen in many GMT watches, the quickset date has been removed in favor of using the independent hour hand. The advantage here allows you to change the date backward and forwards. With the crown unscrewed and in the first position, you can change the hour/local time, moving the hour hand in one-hour increments to set the local time and advance the date. Pulling the crown to the second position allows you to set the GMT function and moves all of the hands together. For night and low light situations, the lume is superb, as you would expect from Tudor’s past examples. The matte dial, oversized markers, and Tudor’s very recognizable “snowflake” shape for the hour and GMT hand, make the watch extremely legible for work/desk diving. For night and low light situations, the lume is superb, as you would expect from Tudor’s past examples. The finish of the watch, particularly the bevels are quite exceptional. At first glance, it can be conceived that the GMT hand and the second hand could be confused, but Tudor has subtly and ingeniously added a luminescent tip to the snowflake diamond shape of the GMT hand aiding in legibility. As a slight negative, a luminous pip and maybe even some lume on the bezel, both not present on this reference, would aid greatly in low light settings. That being said, the matte dial and a “flat” red and blue on the aluminum bezel makes the BBGMT extremely stylish while at the same time slightly less conspicuous when compared to its ceramic bezel Pepsi counterparts. Even though the writing on the dial doesn’t display it, the watch is dive rated to 200 meters. As with most Tudor/Rolex dials, “Chronometer Officially Certified” is present at the 6 o’clock position. Of note, the crown tube of the BBGMT is not color-matched to the theme of the watch as with other Black Bay models. Although well received, the case thickness was a point of contention when the in-house Black Bays were initially released. The same 14.8 mm thickness (compared to the 12.7 mm thickness of the previous ETA models) from the three hand models is also used here for the GMT. As mentioned, the case measures in at 41 mm in diameter, 50 mm lug to lug. 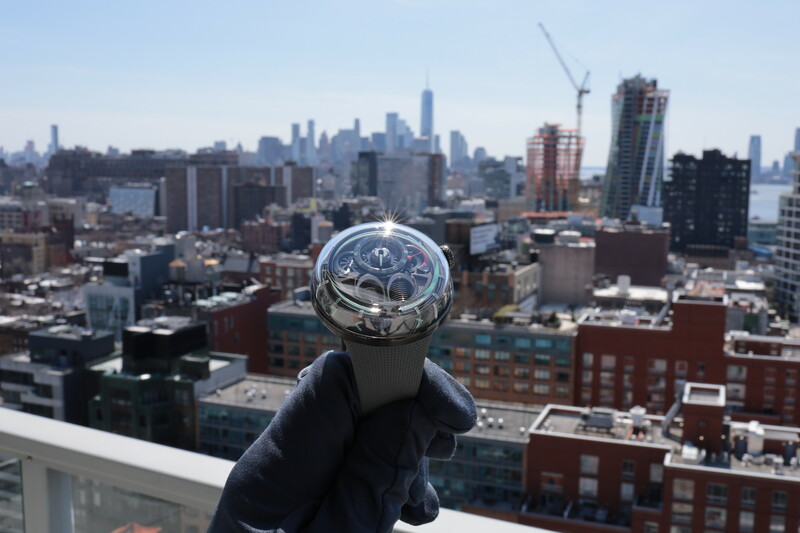 The watch on its bracelet, as reviewed here, weighs in at approximately 175 grams. The Black Bay GMT is available in three different configurations from Tudor. The bracelet is a riveted model and is this author’s preference. A leather “Terra Di Siena” strap option is available as is a fabric strap, which pairs nicely due to its subtle red stripe. On the wrist, the BBGMT does not disappoint. It definitely has a captivating combination of aesthetics and functionality, dazzling in almost any setting. Like many other average wrist sized individuals, this author found the case to wear comfortably, however slightly larger and thicker than preferred in a perfect world. The value of the Black Bay GMT has to be considered one of it’s strongest points. 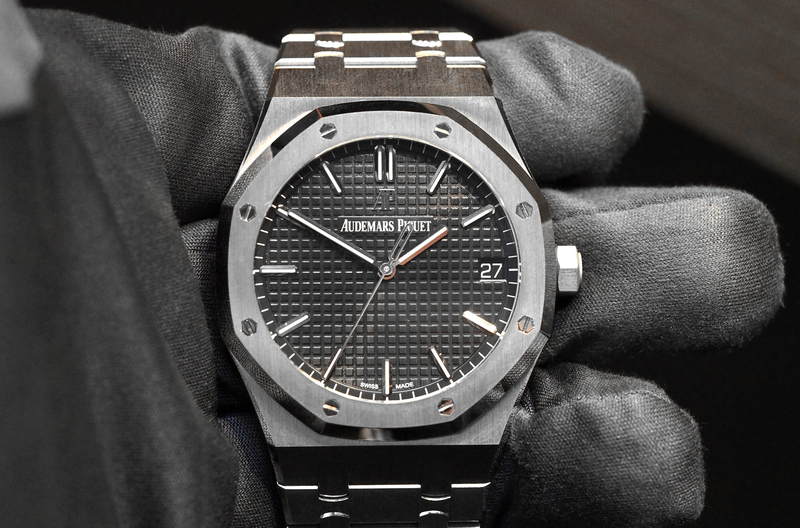 On the bracelet, retail is $3,900 and it’s least expensive pairing on the fabric strap is listed at $3,575. For an in-house chronometer with 70-hour power reserve and a true GMT complication, it is clearly a top contender in its class. Next articleHamiltonHamilton Khaki Field Chrono worn by John Krasinski in "Jack Ryan"